Medium Exterior Acrylic Paint. I decided my front door was boring and the old paint was not looking good. So I had fun painting it! 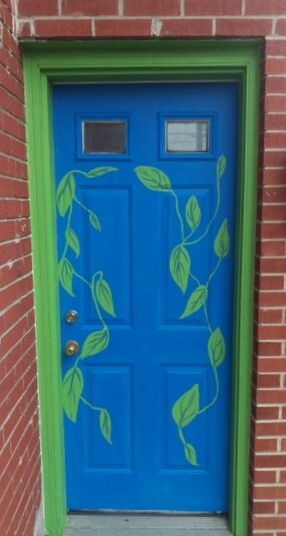 Some people have expressed interest in my painting their door too. I am up for that – just contact me directly and we can talk about it.